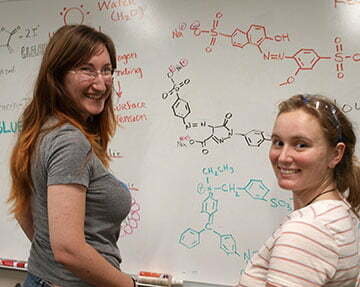 The Oak Crest Institute of Science is an innovative chemistry research and education center that advances the understanding of environmental and medical science through rigorous academic laboratory programs. Our research outcomes are important contributions on both the fundamental and applied levels of chemistry and biology; moreover, they shape public policies affecting regional environmental quality as well as medical care in the developing world. Oak Crest attracts highly skilled scientists who impact their respective disciplines and inspire the next generation of scientists through mentored research. The environmental science program at Oak Crest utilizes fundamental chemistry and biology methods to address important air and water quality problems confronting society today, as well as study the microbial ecology in extreme niches. Oak Crest develops novel techniques for detecting toxic trace pollutants in the air and biological particulates in water, for example. Our research leads to meaningful policy changes and improves the quality of life for the general public. The biomedical research at Oak Crest produces ground-breaking advances in drug formulations that are urgently needed to overcome inadequate disease treatment and prevention in the developing world. Oak Crest successfully develops new ways to deliver antiviral drugs that prevent disease transmission and improve patient compliance. The fundamental chemistry and biology research supporting all laboratory programs generates advanced instrumentation for environmental monitoring and chemical detection. The instruments are designed to be low-cost, high-performing, and customizable. Oak Crest designs and develops detection devices that improve how research can be done in the field and how clinical work can be performed. 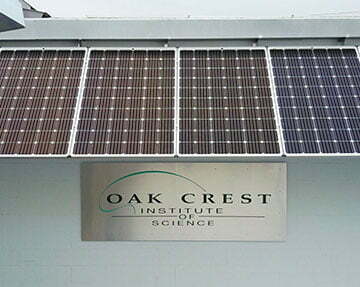 Oak Crest is uniquely dedicated to making rigorous laboratory research accessible to scientists of all levels and to creating a highly collaborative working environment. All participants play a direct role in the success of the research program and leverage their strengths to reach the common goal of meaningful quality-of-life improvements facilitated by chemistry research. Professional scientists have the flexibility and freedom to pursue scholarship and creative ventures without the classroom teaching and administrative responsibilities of a university setting. This autonomy enables scientists to both conduct research at the bench and to mentor students in a creative and intimate environment. Through mentored research, Oak Crest inspires and trains a new generation of scientists who are taught the scientific discovery process using the high-impact research programs described above. As a result of the unique mentoring experience, these students are prepared to address technological challenges and opportunities with confidence. 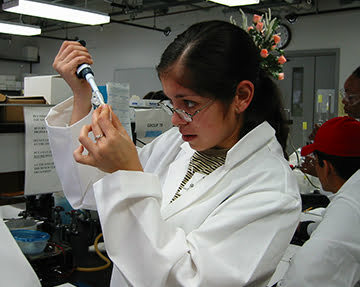 At the beginning of their academic journeys, community college and high school students experience first-hand the excitement of scientific research during the course of their training at Oak Crest. Many undergo transformations in self-confidence and motivation through their mentored research projects and seek careers in science and engineering. In this way Oak Crest fulfills its educational promise while supporting state and local priorities of improved workforce training in science and technology. Oak Crest is a valuable resource to the residents –individual, municipal, and commercial– of Monrovia and its surrounding cities. Oak Crest serves as a catalyst within the local community to increase science literacy and awareness of research by direct interaction of Oak Crest scientists with the community through seminars, workshops, and other programming.